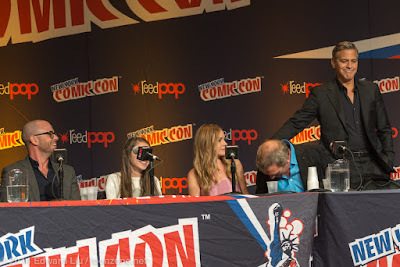 On the heels of a title-stealing Thursday on which none other than a honeymooning George Clooney dropped in on the "Tomorrowland" panel, New York Comic Con has wrestled the reputation as the biggest convention of its kind to the biggest city in the world. NYCC rode the buzz and robust pre-sales buoyed by ReedPOP's first-ever Special Edition: NYC in June to a record 150,000 fans over the four-day weekend. With that many fans on hand, NYCC could have been a nightmare of gridlocked cosplayers. Instead, thanks to a newly-implemented wristband system for panels and screenings, things moved as smoothly as ever despite the extra bodies. 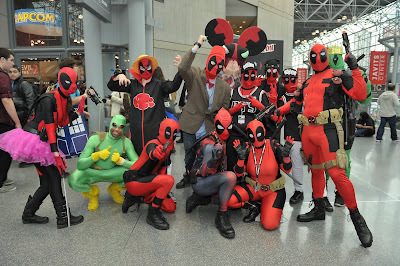 More people means more Deadpool. In the past, fans had to make tough choices about where to budget their time. Do you get some floor time? Browse the vendors? Bee-line it to the panels? For instance, last year Phantastic Geek spent five straight hours in the main theatre in anticipation of the Marvel "Agents of SHIELD" panel followed by "The Walking Dead" in the Saturday night sweet spot. Along the way, we were forced to endure panels and screenings of the CW's "Reign" and "Beauty and the Beast." It wasn't pretty. The new system got fans of certain content in the seats for it, rather than having an audience audibly boo panels and screenings they had no interest in. The only caveat was that there were more than a couple reserved seats that went unfilled in many cases. If ReedPOP wants to place a premium on those, that's fine. When they are not filled by the panel's start time, however, every effort should be made to fill them with fans, deep pockets or no. There's SO much to see at NYCC! 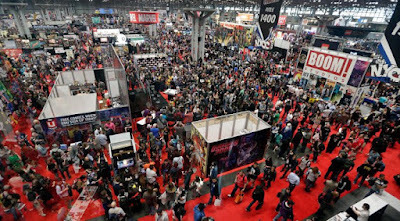 Another area NYCC needs to consider going forward is the noticeable-fewer question-and-answer opportunities at this year's con. Giving fans a chance to address their idols is a necessary part of the show. 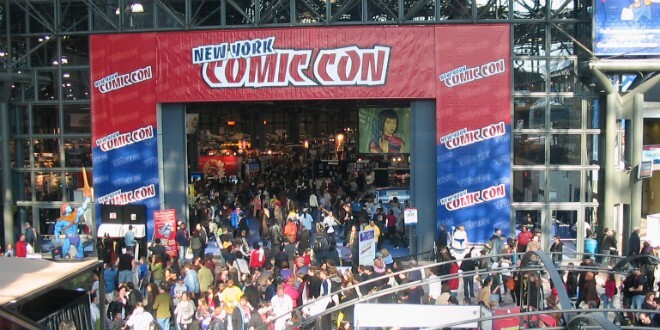 You can listen the Phantastic Geek Pop Culture Podcast of NYCC 2014 here, including in-depth coverage of the Marvel "Agents of SHIELD" and "Agent Carter" screenings as well as some special guests. All in all, NYCC 2014 represented yet another step forward for a con that has grown by leaps and bounds from its staggered, every-18-months infancy into its' annual adolescence. We look forward to its continued evolution as San Diego will, no doubt, thrown down a cosplay gauntlet next summer.